Reflections of a Bookaholic: Dystopia Challenge COMPLETE!! 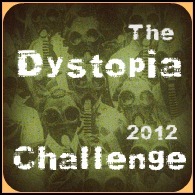 I've finally completed the dystopia challenge and I'm happy to say that it was such fun. The Hunger Games was the first dystopia I had read since The Giver in 6th grade. Though I noticed some trends, they are all so different so I never really knew what I would find. I realized that within the genre there are some distinct categories. Those of you who do not like dystopia might not like the violent dystopia reads of The Hunger Games and Divergent but might like the dystopia's that are more focused on the love and romance like The Selection and Matched. Anywho... I'll be creating a wrap up post to break down this challenge even further. But for now, take a look at the books I read and the reviews. Just click on the book cover and it'll take you to the review. Congrats on completing your challenge. I'm totally sucking on mine this year, but have recently decided not to care! I LOVED Delirium! I so want to read Pandemonium, but I'm being cheap and waiting for the paperback so my books will match. That and Insurgent are on my TBR list as the first books were AMAZING! I may actually try out this challenge next year. I'm thinking about doing it again. There are so many sequels I want to read. Plus this challenge took me on so many different adventures. It was quite fun. It was so fun! I really got focused there for a little bit. Wow - I read a few of these titles - but nowhere near all of them :-) Actually I just finished the audiobook of The Maze Runner - and boy, was I ever sleeping on this book! Also loved Legend, Across the Universe and When She Woke. I know! The Maze Runner is surprisingly good. Congrats! You picked some good titles. I'm not even close to finishing the challenge. I wouldn't have finished if I hadn't completed most of them on audio. It's a genre that grabs you and reels you in. You go girl! I am so darn in awe that you completed challenges and passed the bar! Super Woman! BRAVO!!!!! I love dystopians but I space them out alllllot. I can completely understand why. How do you find out about these challenges? Or are they something you make up? I see which challenges other bloggers are doing but I also found this website (http://novelchallenges.blogspot.com) last time and it helped a lot. I'm not sure how much it has been updated for this year because I haven't started picking new challenges yet. 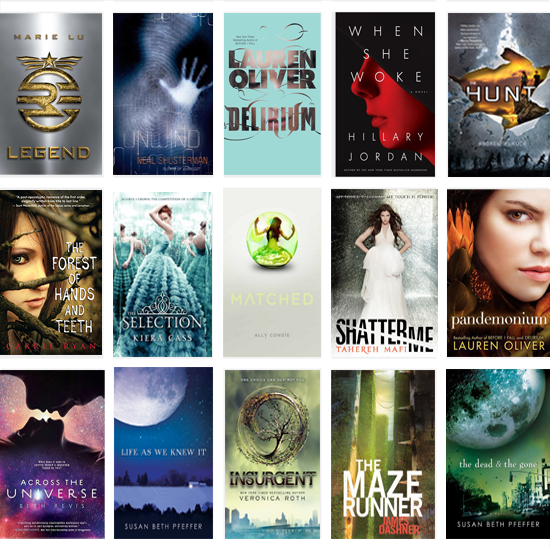 Congrats, I love dystopians and they are what drew me to the YA genre. I found your blog through our friend Felicia @ the Geekyblogger and am now following you. Thanks! I'm hopping over to visit you as well. Thanks! If you don't finish your challenge this time around, you can always try again next year. *high five* on completing the challenge! I keep trying to get more dystopian books under my belt but failing miserably. Thanks! I always mean to read certain books but you know how that can be. Awesome that you completed the challenge!! =) I'm a big fan of a lot of those titles... and I agree with what you said. Even though there are aspects of the genre that are obviously the same there are some definite different tones out there. I should have known but it actually took me a bit by surprise. I love this post. I think Hunger Games was my first and I am slightly hooked on the genre now. I have read The Eleventh Plague and Ready Player One. I am going to do this challenge next year since I have two of the books listed above and two more are on my TBR list. I've very hooked on the genre now. I'm not sure that any really touch The Hunger Games though. It was my first, you know.